What is a Hair Growth Cycle? ANAGEN – This is the growth cycle in which cells divide and elevate to the upper portion of the hair bulb, as dead cells. CATAGEN- During the catagen stage the hair is separated from it’s nutritional source and hair growth stops. 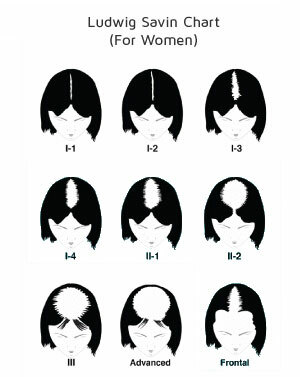 TELOGEN- During this cycle (which ranges in time from one to four months) the hair either falls out or is forced out by new growth. What About Rogaine and Propecia? Rogaine and Propecia are presently the only FDA approved hair growth treatments. There are hundreds and maybe thousands of products that grow profits but none have been proven to grow new hair. In terms of controlling hair loss, DHT Sensor has been show to be effective in slowing down and stopping additional hair loss. DHT Sensor has been shown to be especially effective when combined with a program of laser hair loss treatment. What are Hair Extensions or Additions? A hair addition, or hair prosthesis, is used to add hair to existing hair to achieve a thicker, fuller look. 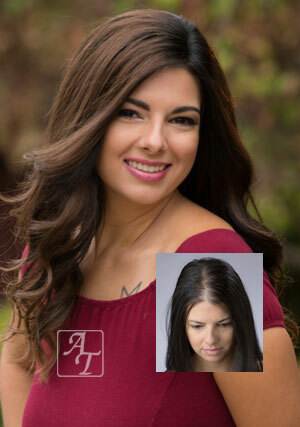 Hair additions are made from a variety of base materials and are added to existing hair or scalp to give one the appearance of a fuller head of hair. They can include hair weaves, hair extensions, hair pieces, toupees, non-surgical hair replacements, partial hair prostheses, hair wefts, etc. Hair additions may may be made with 100% natural human hair, or with synthetic hair. How Are Hair Additions Attached or Kept On? Partial hair additions are attached using a variety of techniques to either existing hair or directly to the scalp. EXISTING HAIR: Clips, fusion, bonding, micro links, beading are general terms of techniques all attached to the client’s existing hair. All are used to provide more security for the active life-style. They are all dependent on the growing existing hair and therefore must be reattached or tightened as the existing hair grows. TO THE SCALP: Includes medical grade adhesives such as two-sided tapes and new improved waterproof liquids. Vacuum bases are held on by suction through an air-tight custom form-fitting foundation. Vacuum bases are ideal for women with total hair loss, as in the case of alopecia totalis or alopecia universalis, since there is no existing scalp hair present to break the vacuum seal. Can I Live My Life Normally? With modern state-of-the-art hair replacement solutions, you can live an active, full life without worrying about your hair. Today’s state-of-the-art hair replacement systems will not come off during normal wear or activity. Depending upon the attachment method and type of hair, you should ask about swimming etc. What Will People at Work Say? Usually, people at work never even notice. Honestly. One client, in fact, recently told us that she got a number of compliments on her hair after she got her Reallusions hair integration. (Other women in the office were commenting on how wonderful her hair looked and wanted to know who her stylist was!) However, if the hair loss is so severe that it can’t help but be noticed, then we have found that as long as it looks good, it is a positive. It’s just like a suit or dress or any other accessory. And especially if there is a recognized need for it. Is a Hair Addition Difficult to Take Care Of? Not at all. No matter what hair replacement solution you choose, we will make sure that you are trained in how to make sure it always looks great. We also have maintenance programs if you want us to handle all of that for you. Your private, initial consultation with a qualified, trained hair restoration specialist will provide you with an expert opinion on your specific hair loss. We are here to help you. A trained hair restoration consultant will listen to your concerns and desires, answer all your hair loss questions, and help you evaluate the various hair restoration options available to you. During this consultation, we will determine which hair restoration course of action will benefit you most effectively and help you achieve your goals. We will discuss your specific goals for your appearance, review your hair loss classification, and explain the various levels that can be achieved through a wide variety of proven hair restoration procedures.